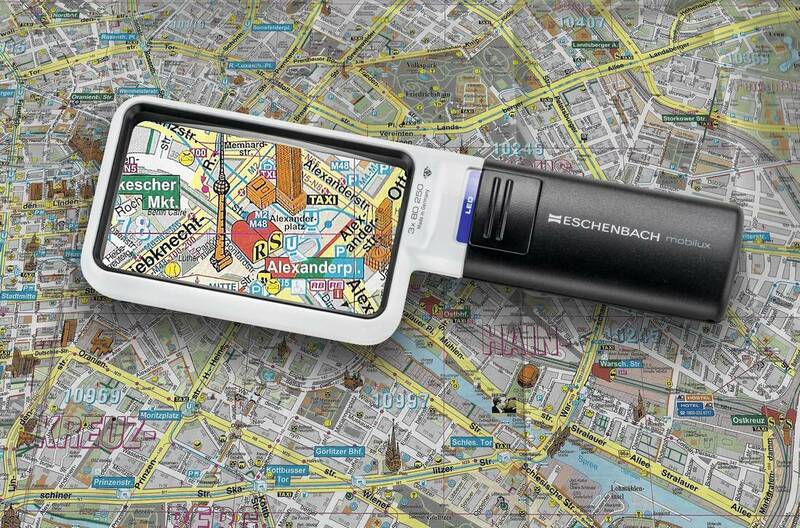 Eschenbach mobilux® LED illuminated hand magnifier is truly impressive in terms of its exceptional magnification, comfortable operation and outstanding illumination - and with over a million of these Eschenbach magnifiers having been sold, makes life a great deal easier for many people. Whether you are reading small print on packaging, looking at train timetables or having a quick glance at a menu, the mobilux® LED illuminated magnifier is simple to use, comfortable to hold and the energy-saving LED's can be switched on in poor light conditions to provide constant optimum illumination - even when the batteries are getting low. Sudoku, word search, crosswords or signing cheques, are now easier than ever! 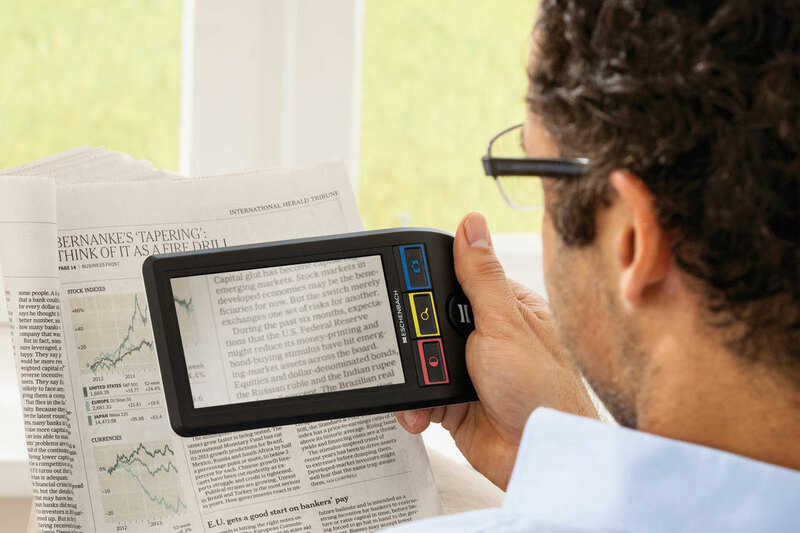 The new mobilux+ from Eschenbach Optik is the illuminated 'large format' pocket magnifier for reading small print such as menus or checking prices.